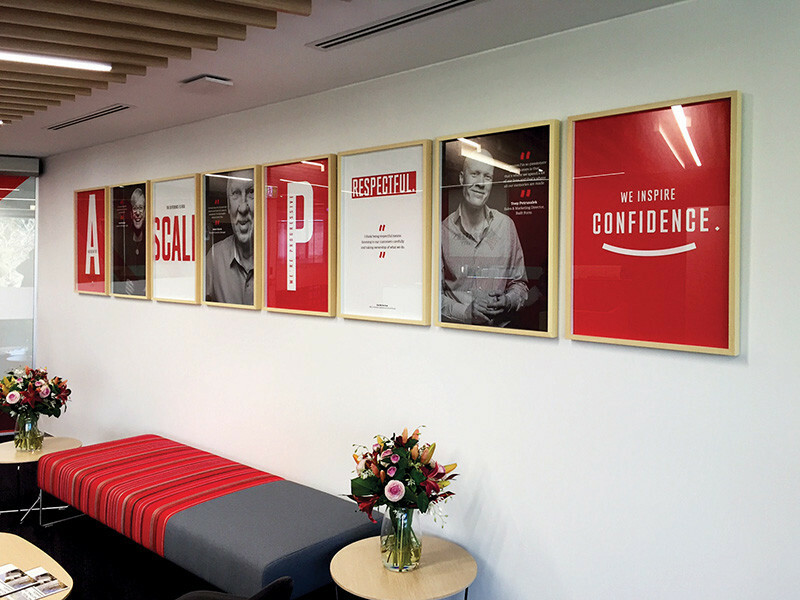 Frasers Property commissioned Discus to rollout corporate branding throughout their West Perth office. 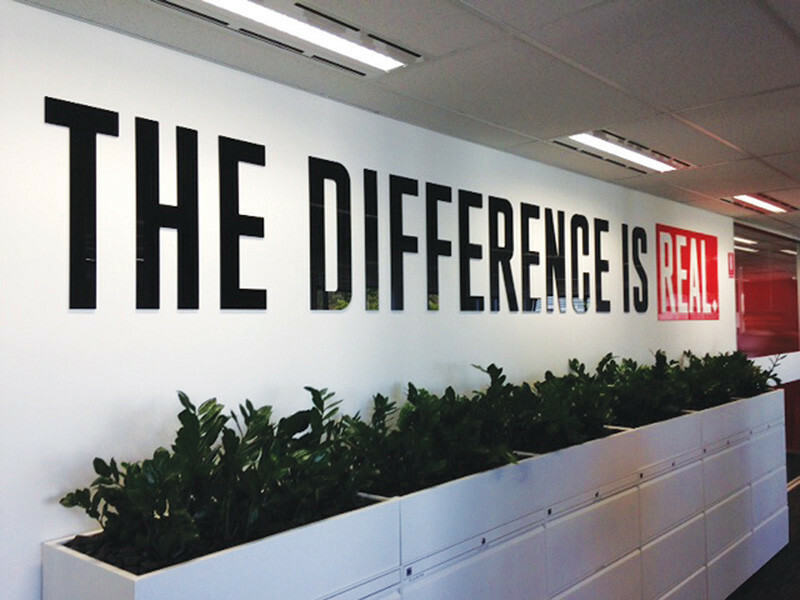 The brief included a range of products such as wall graphics, window graphics, signage and picture frames. Following a site visit and measure, we recommended solutions for multiple areas including the external entry, reception, meeting rooms, staff rooms and a phone booth. 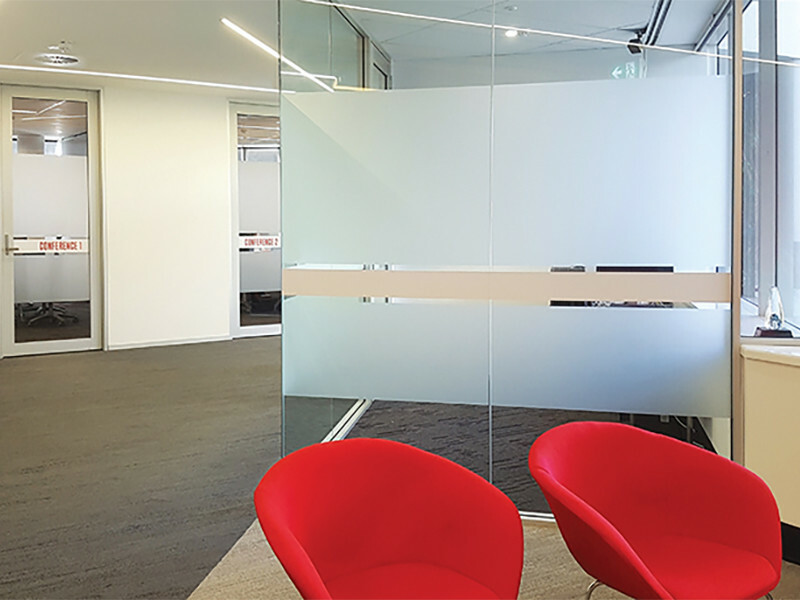 After the installed office fitout, Frasers Property later engaged us to deliver additional privacy in the office when the need arose. We cleverly used frosted window graphics in these specific areas. The result is a professional workspace that leaves a favourable impression on visiting clients while creating a productive and inspiring work area for staff.